The Dead Sea is receding at a rate of 1.2 meters (3.3 feet) each year, Israel’s Ministry of Environmental Protection said in a report published Monday. The report is based on 10 years of research and data on the environment in Israel, gathered between 2004-2014. With a coastline shared by Jordan, Israel and the Palestinian territories, the Dead Sea is known as a tourist destination for its breathtaking landscapes, the natural mineral content in its water, which is used for medicinal and cosmetic purposes and for being the lowest point on earth, at 430.5 meters (1,477 miles) below sea level. According to the report, the main reason for the sea’s receding level is dams built by Israel and Jordan preventing natural water flow from the Jordan River to the Dead Sea. Other main causes are massive overpumping, industrial potash and salt mining which began in 1952, and natural evaporation caused by the warm and dry climate. Combined, all of these elements have led to massive environmental degradation at the Dead Sea and its surroundings. Recent years have also seen an increase in the formation of sinkholes near the Dead Sea area, causing the collapse of roads, structure and the land itself. According to a 2017 article in the Journal of Geophysical Research, more than 6,000 sinkholes have formed in the area over the past 25 years. The report calls for urgent action otherwise the well being of present and future generations may suffer from significant environmental and financial damage. Earlier this month, the Israeli government set up an inter-ministerial team to address the Dead Sea crisis. 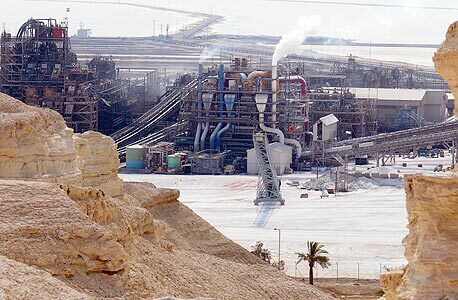 In January, a team from the Israeli Ministry of Finance recommended that mineral harvesting continue regardless of the environmental damages, citing monetary benefits. 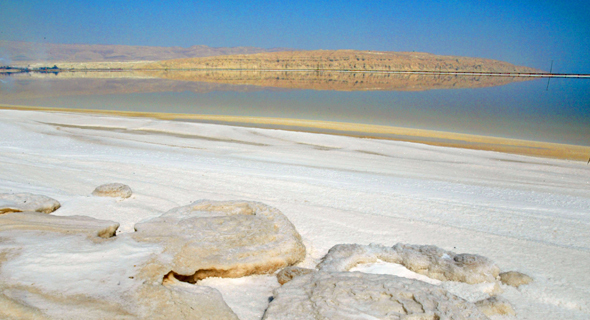 That same month, it was reported that the Israeli government is considering offering Dead Sea mining rights to private foreign companies after the current concession held by Israel Chemicals Ltd. (ICL) expires in 2030. The proposal states that any new mining permit would limit the use of water in mineral production, and levy a tax on potential environmental damages. The report by the ministry also addressed other environmental issues including increases in power consumption, which has nearly doubled in Israel in the past 20 years, and waste generation which stands at an average of 2 kg (about 4.5 pounds) per capita a day.